Our reputed entity is engaged in supplying Gates HTD Belts. We are involved in offering a large range of HTD V Belts in various sizes. We are engaged in manufacturing a wide range of htd belts. We are a top-notch organization, engaged in providing Gates HTD Belts. 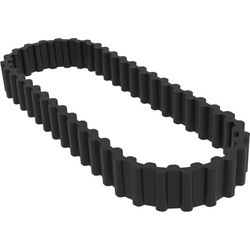 Banking on our enriched industry experience, we are able to supply Gates HTD Belts. - Special curvilinear tooth design substantially improves stress distribution and allows higher overall loading, precisely formed and accurately spaced polychloroprene teeth ensure smooth engagement with pulley grooves. - Fiberglass tensile strength provide necessary strength. 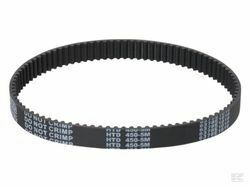 Relying on our expertise in this domain, we are into offering HTD Timing Belt. Price range is available minimum Rs. 500/- and above. 12 teeth 3mm HTD timing Pulley with 9mm belt width in Aluminium Material. Our company is the major company known for providing HTD Timing Belt to the clients. Offered range is highly acclaimed for excellent performance. This product is supplied for inclined conveyors of material by, fixing metal slots or buckets on the carrying surface of the belt at regular intervals.